Anthony earned a diploma in Massage Therapy after completing his 2200 hour program at Mount Royal University in 2013. He has worked with many different sports-related injuries including sprains, strains and fractures. He has also worked with workplace injuries ranging from tendonitis and lateral epicondylitis to nerve impingement and paralysis. 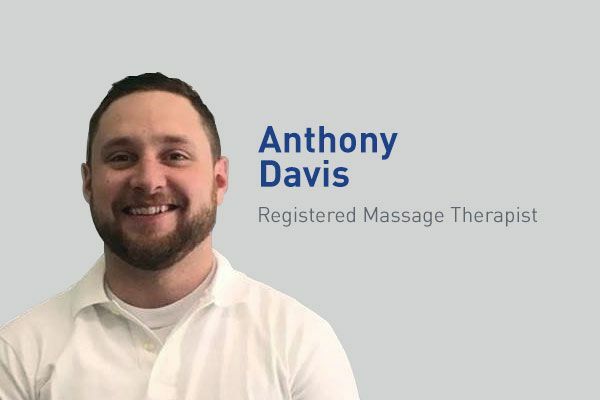 Anthony believes that manual therapy along with stretching and exercise can facilitate a patients healing and get help them back to normal. Anthony grew up playing soccer for 13 years and also enjoys playing tennis, golf, hiking snowboarding and swimming in his spare time. Anthony uses various deep tissue techniques including cross fiber friction, ischemic compression and trigger point therapy combined with relaxation techniques and cupping to heal soft tissue.